Do you sometimes wonder why some websites look more professional than the others? Would you like to learn how to give your website that polished look which makes it look more credible and trustworthy than other websites? Imagine that you are comparing two websites side-by-side. Both the websites sell similar products and services to the same target audience. The owner of the first website has taken extreme care to make his website match his brand and look professional. This immediately increased the credibility and trustworthiness of that website. While the owner of the second website decided to buy a pre-made website template for his website because he had no clue about how to properly design his website to make it look professional. This made his website look similar to other gazillion websites on the internet. What do you think, which website would sell more products and services? It is the first website that will sell more because it looks more professional than the other website. It's true that there are many other things that affect a sale. But, with all other things being equal, would you buy from a website that looks unprofessional and amateurish? You will not buy from that website. We all like to buy things from websites that look professional and trustworthy, that look credible, that look branded. And yet, time and again, we do not put in enough efforts to brand our websites so that they look professional, credible and trustworthy. It is not rocket science to brand a website. Selecting proper fonts and colors is difficult. Matching 2-3 fonts and colors together is even more difficult. If that was not enough, how do you even start with getting a logo created? Or how do you even brand the images on your website? But what if there was a systematic way to select proper fonts and colors really fast? What if you could create a logo by yourself and brand your website images properly? Branding a website is one of the best ways to gain credibility and trust, but the process of getting started can be overwhelming. Which colors should you choose? How do you select fonts for your website? How do you get a logo made for your business? How do you make sure that the images on your website reflect your brand properly? This course is going to help you cut through all the confusion. 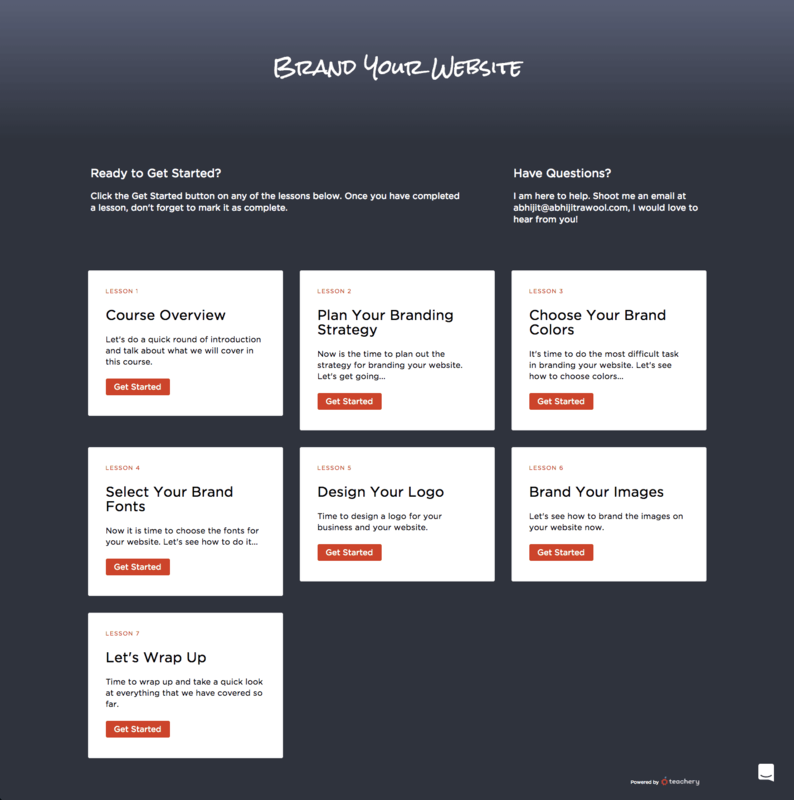 ​​​​​​​Brand Your Website course will teach you how to fully brand your website step-by-step in a single day so that it looks professional, credible and trustworthy. Why in a single day? 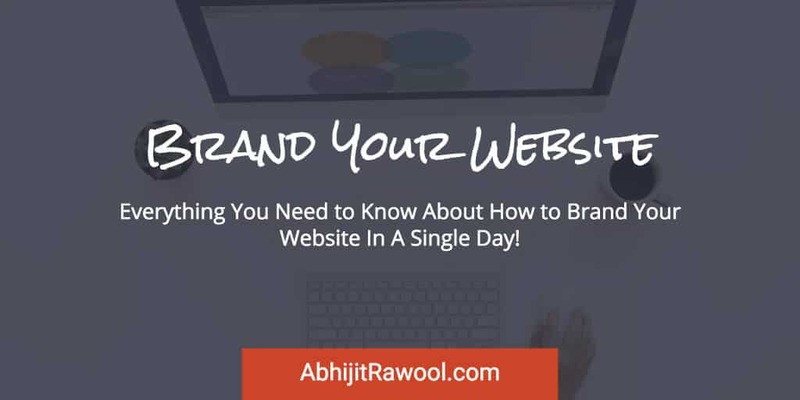 Because if you don't aim to brand your website in a single day then you are setting yourself up to spend countless hours tinkering with fonts and colors on your website. This will only lead to confusion and frustration. That is why the entire course is designed to start and finish in a single day. So what is this course going to teach you exactly? How to Choose the Perfect Colors: You'll learn how many colors you need to choose for creating a branded website and how to choose each one of them so that they all look good together. How to Select the Correct Fonts: You'll also learn how many fonts you need to brand your website and how you can ensure that all fonts gel well together. How to Create a Business Logo: This course will also help you with all the details necessary for creating a unique logo for your website. And if you are not feeling artistic to create a logo yourself, then how to get one made from someone else. How to Uniquely Brand Your Images: Branded images give a consistent and cohesive look to a website. You will learn how to properly brand your images so that they match your overall branding and make your website stand out from the crowd. This course is not a long course that will take you days or weeks to finish. In fact, you will be able to complete this course in a single day because that is how it is designed to be. This course is not a literature on font types, font families, etc. Instead this course is designed to give you just the little information that is needed for you to select proper fonts for your website. This course is not an epic on color theory, color wheel, etc. It will not make you a master of colors. But this course will teach you how to quickly select colors for your website so that it looks professional. This course is not going to teach you how to design complex logos. Instead it will teach you how to make a simple logo or get one made from someone else. So What's So Unique About This Course? Brand Your Website course is built with solo entrepreneurs in mind. And Solo Entrepreneurs have limited time! That is why this course is built to start and finish in a single day. Other courses teach you so many design principles that you take weeks or even months to get started with branding. In stark contrast to other courses, Brand Your Website course will teach you how to quickly choose fonts and colors so that you can fully brand your website in a single day. If you a run a business website and want to position your brand properly in front of your ideal customers and build credibility and trust, then this course is for you. Check out the course yourself. You get a 30 days, 100% Money-Back Guarantee. So take your time to go through the course. After 30 days, if you feel that this course is not what you expected, just ask for a refund. I will refund your money in full without asking any questions - and with a smile. Just send me an email at abhijit@abhijitrawool.com, and I will be happy to refund your money immediately. I know, everyone says that, but I will give your money back with a smile. This video lesson will show you how you can quickly brand the sales pages that sell your products and services. After all, no one likes to buy from sales pages that look unprofessional or shabby. You have done all the hard work to brand your website, so why not put a little more effort in branding your sales pages too? 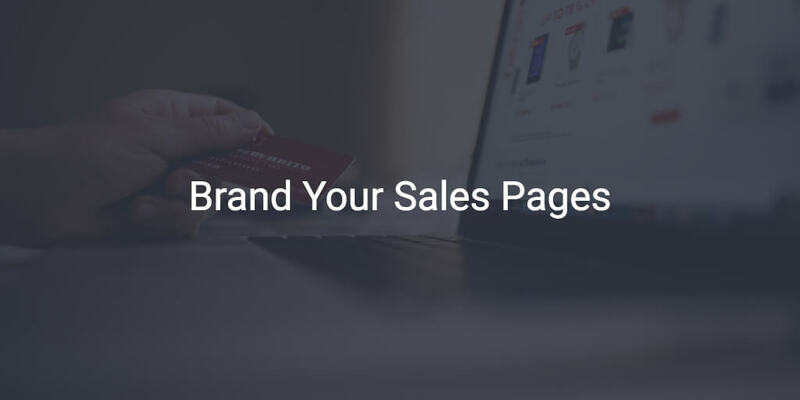 Professional looking sales pages will increase the likelihood of customers choosing to buy your product or service over your competitor's product or service. After you buy this course, you will be able to download all the course videos and slides immediately. You will also receive an email with all the details right away. The course is made up of video lessons. You can download all the videos and watch them at your convenience. When will I get access to the bonus? Immediately after you enroll in the premium version of the course, you will be able to download the bonus video lesson and its slides. The course will start as soon as you enroll in it. After that it is up to you to finish the course. The course is designed to be finished in a single day but you can always go at your own pace. Will I get the updates to this course? Yes, of course. Every time the course is updated, you will have access to the updates at no additional cost. Why are there no testimonials for this course? Have you ever seen a sales page with a negative testimonial? No, right? So what is the point of showing you only positive testimonials about the course? I don't want to fool you with these. So instead of testimonials I give you No Questions Asked 30-Day Money-Back Guarantee! No problem. There is a 30-Day Money-Back Guarantee. If you are unhappy with the course for whatever reason, just send me an email at abhijit@abhijitrawool.com within 30 days and I will refund your payment without asking a single question. If you have any questions related to the course, just send me an email at abhijit@abhijitrawool.com. How do I buy the course? Please note: This course is entirely digital and consists of videos. You can download all the videos and watch them offline. On clicking the Buy Now button above, you will be taken to a page where you can fill in your credit card details. These details will be verified instantly. You will then be redirected to a page on which you can download the course videos lessons and slides. You will also receive an email with all the details right away. If you get directed to another page, please don’t panic. Internet takes a break sometimes. Send me an email at abhijit@abhijitrawool.com, and I will send you an alternate link to download the course videos and slides. If the system doesn’t accept your credit card, please email me directly and I will help. You may experience a delay in getting the course if you enter incorrect email address. Or you enter something else incorrectly. To protect you and your card from being wrongly used by someone else, the credit card company holds up your order sometimes. If this happens, please email me and I will sort it out for you. If you have any questions that haven't been answered, please email me directly and let me know how I can help. I am interested in getting your feedback. The feedback that you give me, will always be strictly confidential.